A penthouse is an apartment or residential space on top of a building. It is differentiated from the regular apartment by its luxurious features. If you are not rich, chances are you can only dream of ever setting foot inside a penthouse. But, in case you have a penthouse or the financial resources to get one, you should be looking for interior design ideas for a modern penthouse. 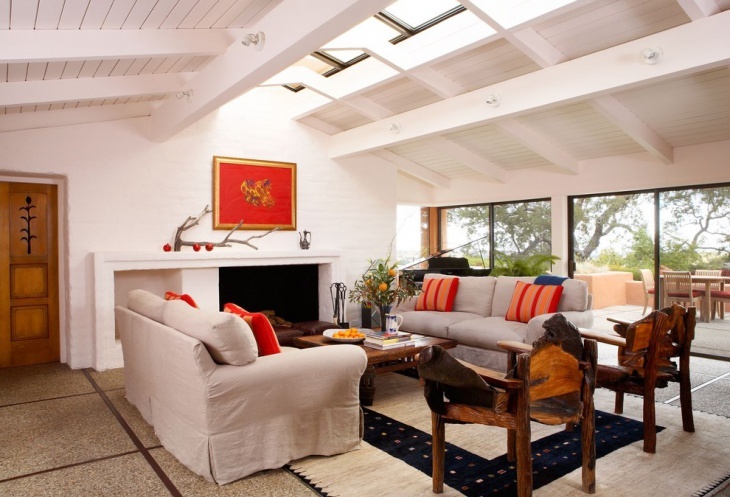 One of the main focuses for such design ideas is the penthouse living room. 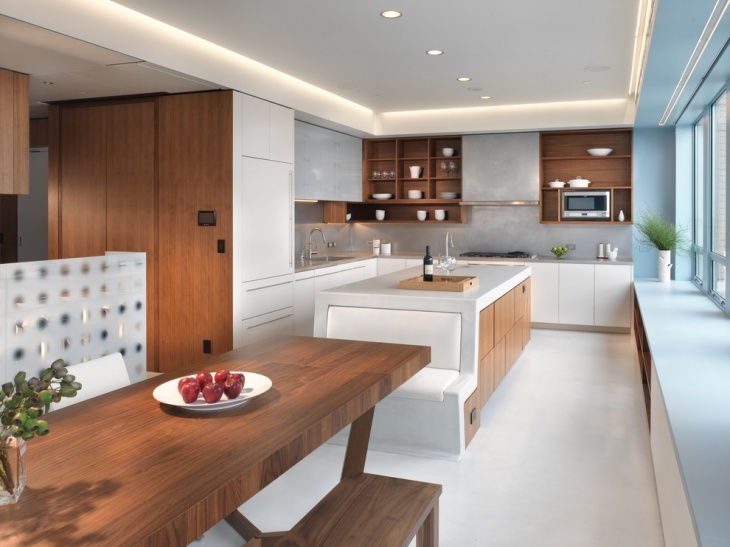 The open space design of this modern penthouse allows for the available space be efficiently used. The white ceiling and walls create a perfect background for the black and gray features. The wooden floor is matched well by the white semi-circular rug facing the veranda glass doors. 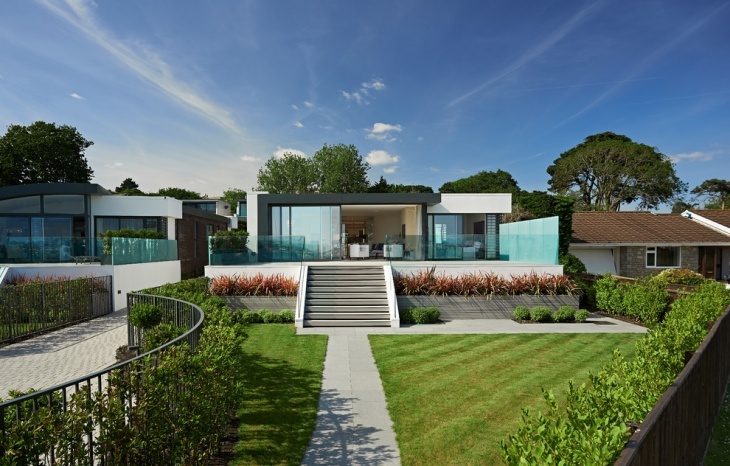 The extending glass walls provide the magnificent views that penthouses are famous for. 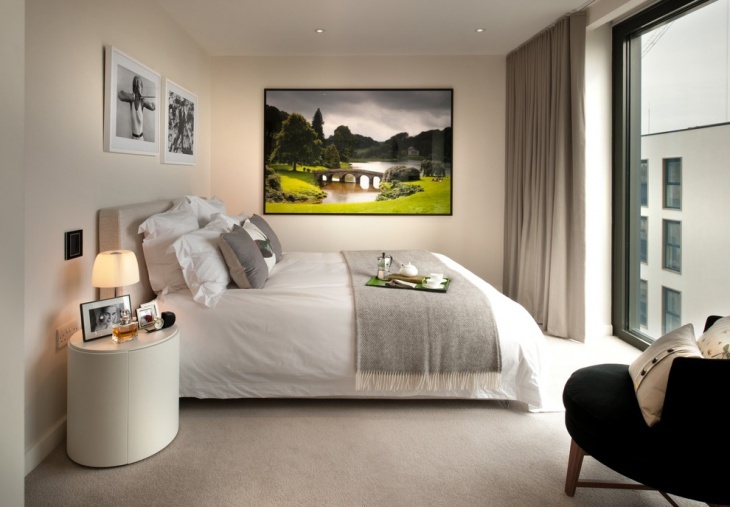 Open space design is the usual option for small penthouses. This one, for instance, has the living and dining spaces in one room. The glass walls let the natural light flow beautifully inside. The automated white blinds provide privacy when needed. 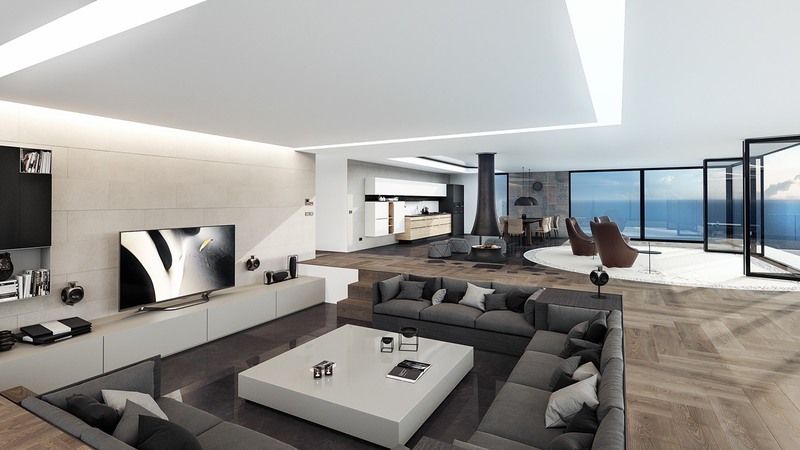 This modern penthouse living room is designed with a minimalistic approach. The TV wall is made of vertical wood with a long low bench at the bottom. To match that wall, the flooring is made of similar material. The rest of the interior is in white and that is perfectly contrasted by the black furniture set. 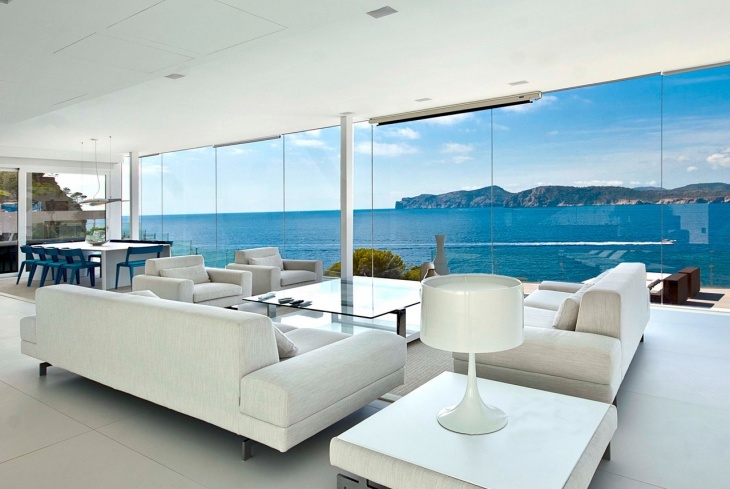 The glass wall provides the breathtaking views. Skylights allow natural light flow, and this penthouse has one that is ideally designed to light up the living room. To add some contrasting feel to the modernity of the interior, two rustic wooden chairs are used. This is a modern penthouse living room in minimalistic design. The two most attracting features are the glass wall designed like small square windows in wooden frames and the big circular and flashy wall clock. This small apartment penthouse is designed to make good use of available space. The doorless division allows for easy access from one room to another. 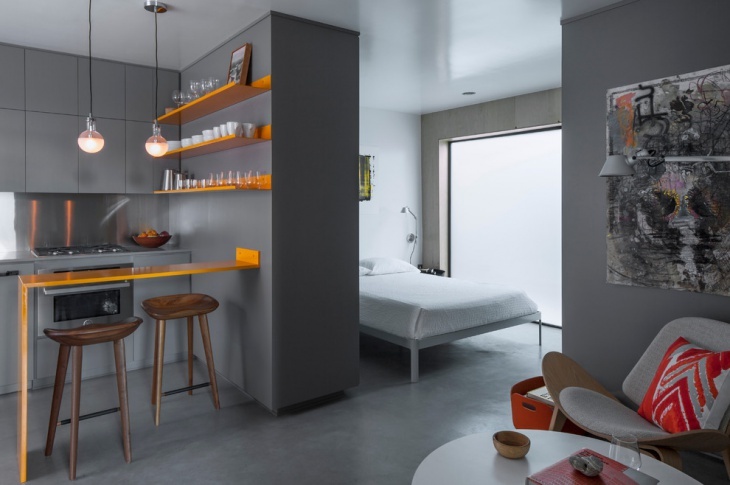 The small kitchen is dressed in gray and accented in orange. The rest of the room is in the same gray shade (ceiling, wall and floor). 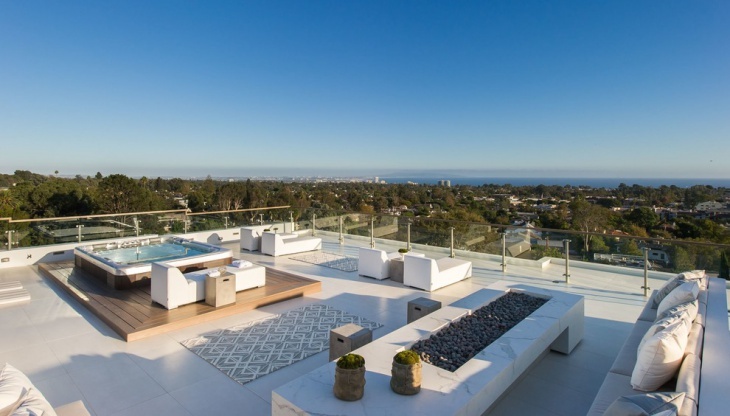 This penthouse terrace is designed to take relaxation to the next level. The jacuzzi on top of the wooden platform looks luxurious. The loungers provide more relaxation options while the long fire pit and the upholstered seat provide the best place for romantic evenings. A penthouse with a mountain view, this is definitely one out of a dream. 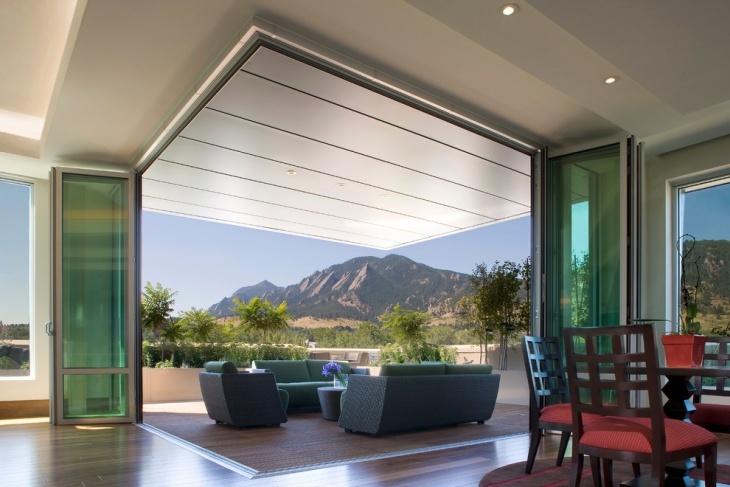 To provide a systematic dividing system, this unit is designed with folding walls that open living room to the patio. The open space between living and dining rooms allows easy access. 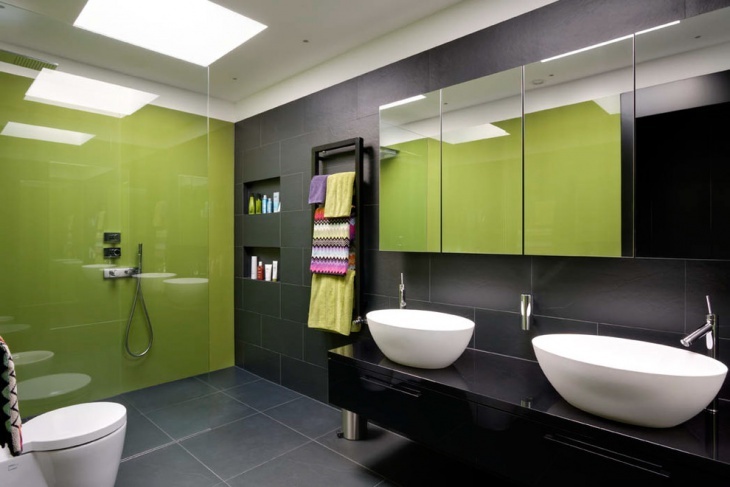 Glass theme is very common for penthouse designs. The idea is to allow natural light flow. For this unit, the glass walls allow for the magnificent view of the sea to be viewed from the comforts of the heavenly white living room. To match the serene blue waters, the dining space is furnished with blue chairs. 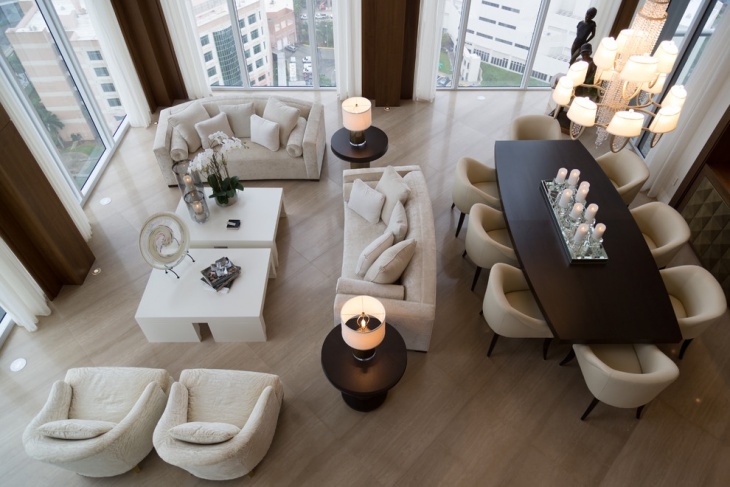 This penthouse’ interior is dressed in white and accented with neutral colors. The walls are made of glass and the result of such combination is a room with a beautiful flow of natural light and heavenly whiteness. 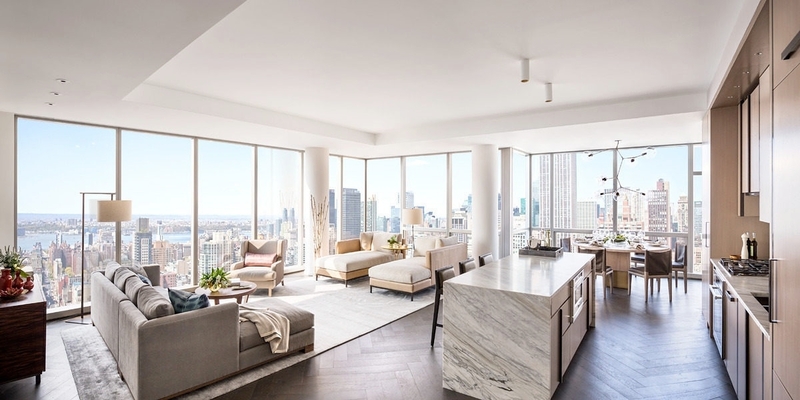 If you are looking for the perfect penthouse interior design, the main thing that you need to understand is that you do not have to be lavish in the design. 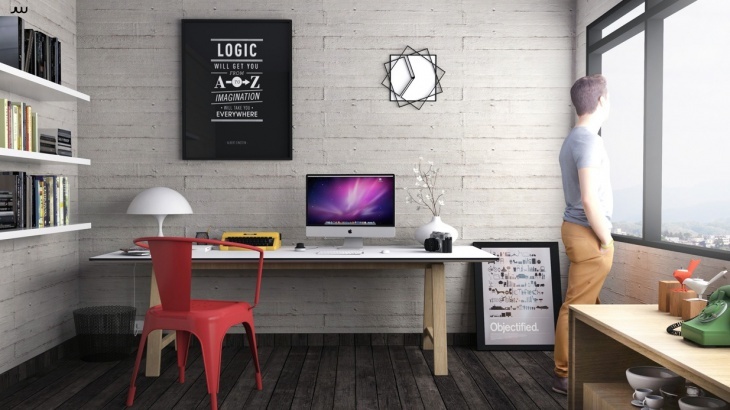 It is common to be simple because simplicity is better, especially for spaces that only have one level. So, you need to know that your penthouse bedroom, living and dining, kitchen and veranda are all going to be on a single floor.